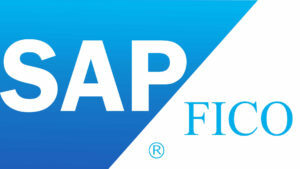 SAP FICO Live Projects & Real Time Training,100% Job Oriented Training,SAP FICO Training in HSR Layout,SAP FICO Training in Bangalore,SAP FICO Training in India,SAP FICO Course in Bangalore,SAP FICO Training in BTM Layout,SAP FICO Training in Koramangala,SAP For MBA Finance,SAP FICO Training in Electronic City,SAP FICO Training in JP Nagar,SAP FICO Training in Marathahalli,SAP FICO Certification Course in Bangalore,India. Akshara Software Technologies is providing the best SAP FICO Training in Bangalore HSR layout, BTM Layout, and Koramangala with most experienced professionals. Our trainer working in SAP FICO and related technologies for more 11 years in MNC’s. We are offering SAP FICO Classes in Bangalore in more practical way, offering SAP FICO Classroom training Bangalore, SAP FICO Training in BTM Layout and SAP FICO Corporate Training in HSR Layout,Bangalore. We framed our syllabus to match with the real world requirements for both beginner level to advanced level. SAP FICO Classes in HSR Layout conducting in weekday,weekend both morning and evening batches based on participant’s requirement. We do offer Fast-Track SAP FICO Training Bangalore and also One-to-One SAP FICO Training in HSR Layout,Bangalore. Our participants will be eligible to clear all type of interviews at end of our sessions. Our SAP FICO classes in HSR Layout,BTM Layout focused on assisting in placements as well and SAP FICO Training Course Fees is very affordable compared to others.Our Training Includes SAP FICO Real Time Classes Bangalore , SAP FICO Live Classes in HSR Layout,SAP FICO Real Time Scenarios. Define Group Company, Controlling Area, Company Code, Chart of Accounts, Fiscal Year Variant (Calendar Year and Non-Calendar Year), and Tolerance groups for G/L Accounts, Vendor Accounts Customer Accounts, Tolerance Groups for Employees, Document Types and Number rage intervals.